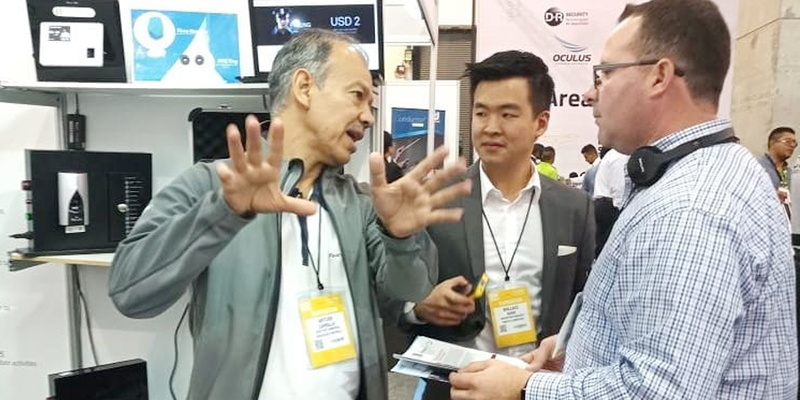 On 24th to 26th April 2018, TimeTec partakes in the largest exhibition of security products and solutions in Latin America. 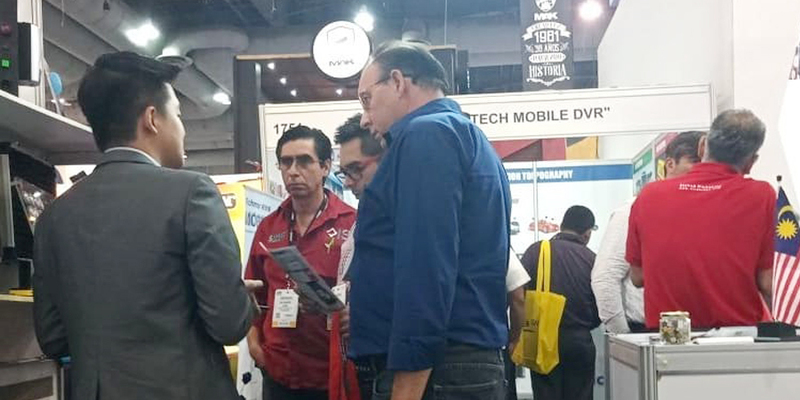 Expo Seguridad Mexico is the place where manufacturers, distributors, integrators along with national and international users meet. 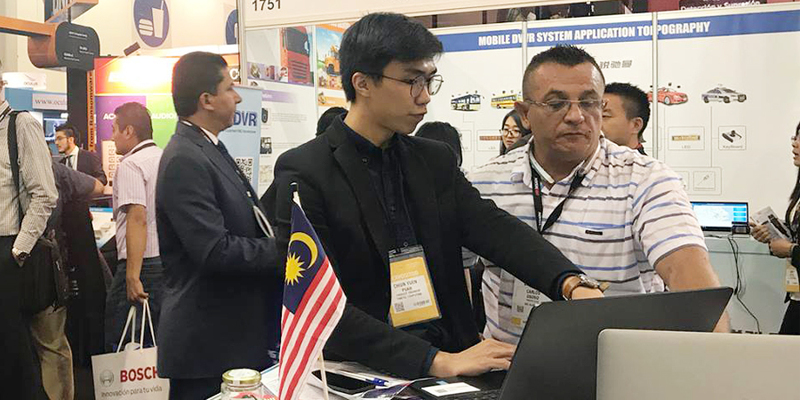 As such, it is celebrated as an industry benchmark and brings the most outstanding exhibitors in addition to countless visitors interested in security products every year. 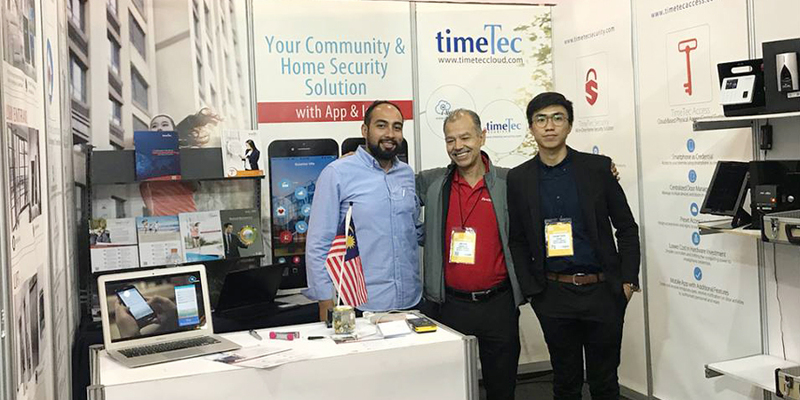 TimeTec was proud to showcase TimeTec Access and TimeTec Security to visitors from South America particularly from Ecuador, Colombia and of course, Mexico. 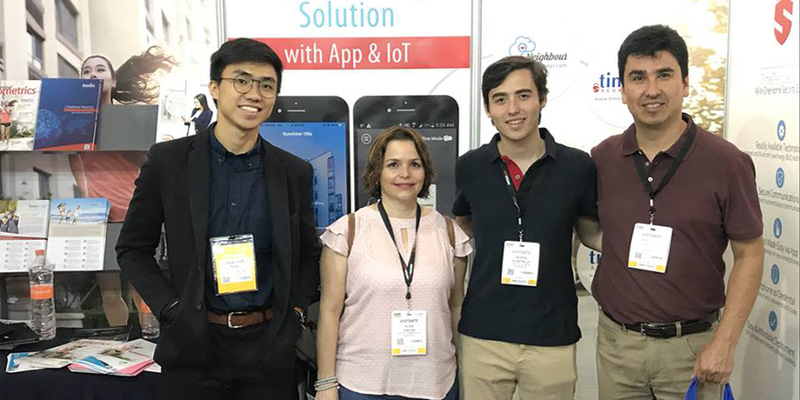 Since both of the solutions tap into the Bluetooth Low Energy technology, the crowd was demonstrated to the Apps that brings convenience to another level in access control. By a simple tap on the App, it is able to unlocking doors or barriers via the smartphone. Additionally, users can also set the access time, grant temporary access and etc with all the transaction data being stored in the cloud server. Hence, providing peace of mind when it comes to security externally and internally. 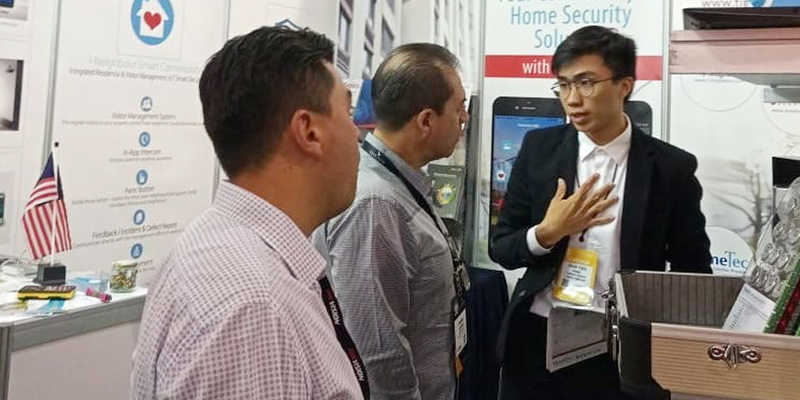 What’s more, TimeTec Patrol was exhibited in Expo Seguridad as well. This sophisticated Guard Tour Management Solution is designed to cater for security companies when it comes to managing their patrolling guards. 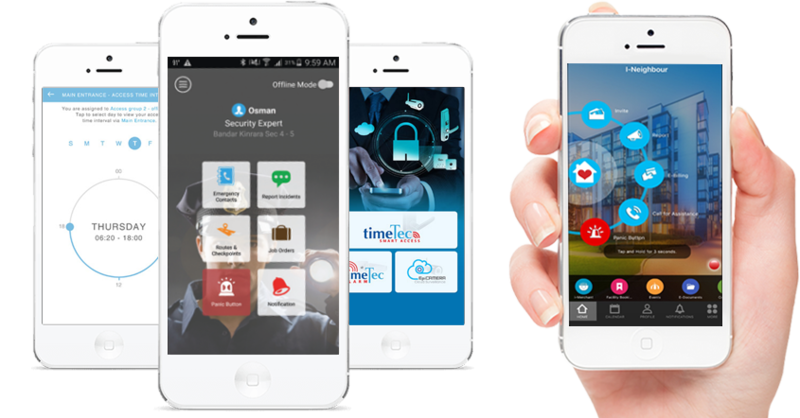 Utilizing TimeTec Patrol, security companies can be informed in real-time of the security guards via the NFC Tag and Time Beacon devices placed on strategic checkpoints thus ensuring that counterproductive behaviours are minimized. When there are incidents occurring along the way, the guards can also report incident or send a S.O.S distress signals through TimeTec Patrol in order for the personnel in charge to take action immediately. All in all, TimeTec Patrol does not only enhance a company’s security but improve upon its productivity too. Find out more about TimeTec Patrol here. On the other hand, our Smart Community Solution: i-Neighbour was also featured in the exhibition. i-Neighbour is a Visitor/Residential Management System that is suitable for both high-rise residences and gated guarded communities. 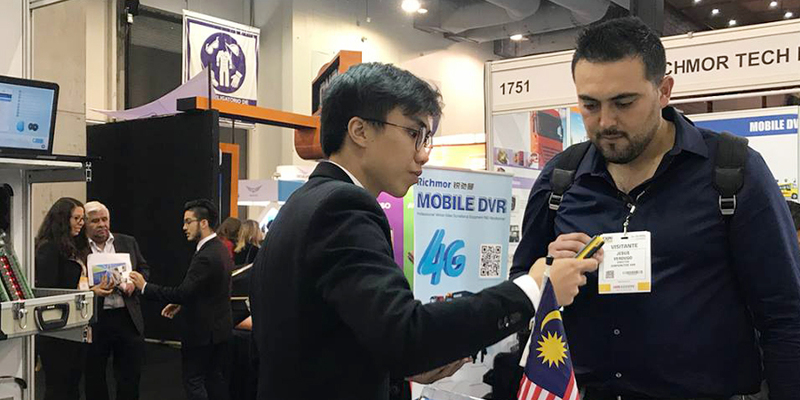 What caught the attention of the visitors and resellers alike was the fact that i-Neighbour can be integrated with an array of Internet Of Things (IoT) Smart Security Series to provide a comprehensive solution through cloud technology. Some examples of i-Neighbour IoT are Smart Panel, Smart Lift, Smart Siren Kit and many more. Click here to explore more into the vast IoT options provided by i-Neighbour.